Kathi and I awoke to colder temperatures – down in the teens, in Benson, Arizona on Friday, December 28, 2007. It was moving day on our slow and steady trek from Texas to San Francisco. That day we were returning to the Escapees North Ranch RV Park in Congress, AZ. We drove the 240 miles with the roads clear of ice and snow and very little traffic. The coach stayed cool, but we were okay with our jackets on and the dash heater going. We drove west on I-10 through Tucson and Phoenix, then got on US 60 north about 20 miles west of Phoenix and it took us right into Congress. Our mail was awaiting us when we arrived. Kathi called for the mail on Tuesday for shipment on Wednesday. It arrived a day earlier than expected. It normally took three days to get mail forwarded from Livingston, TX to Congress, but they made it in two days on this instance. Saturday was a beautiful day with temperature in the low 50’s. We got up early feeling good and found a nice laundromat to get that out of the way, then went a few miles south to Wickenburg for some grocery shopping at a Safeway store. While we were there we decided to try the local Denny’s restaurant for lunch. I had a chicken fried steak with mashed potatoes and gravy. Kathi had a super bird sandwich with French fries. Mine was great and Kathi was just okay with her lunch. I offered ice cream for dessert, but she declined. Wickenburg is a cute little town of about 6,000 people. Most of the businesses are along the highway. There are a lot of hiking trails and trails for off-road vehicles for more adventurous visitors. 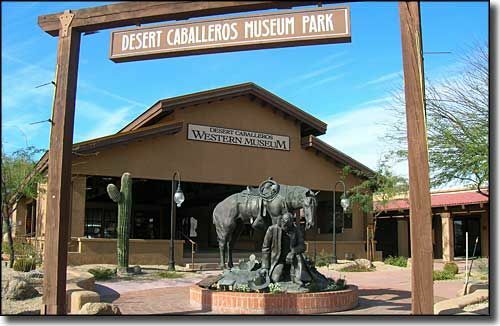 We saw the Desert Caballeros Western Museum that we would like to visit when we had more time. That day we felt like we needed to get back home and prepare for travelling the next day. The further west we moved the taller the mountains. We left Congress about 9:30 in the morning driving toward Needles, CA. We drove through the little community named Nothing on US 93 and took Alamo Road west out of Wikieup. After about 30 miles on Alamo Road, we got on I-40 for the remainder of the trip to Needles, on the California-Arizona border. The trip was about 140 miles and it took us almost three hours to get there. We checked in at the Calzona RV Park. They offered no discounts and their rate was $25 per night and all the spaces only had 30-amp electrical. Kathi agreed to a one-night stay and we marked this park down as a pass-thru only, meaning we would never stay there for more than one night. There was not much to be proud of in the park, so we assumed they thought people leaving Arizona would just be happy to be in California. We were not that much happier. I bet when the wind was from the east, they still got Arizona dust in Needles, but I did not spoil their day by telling them that. Next post: Moving north in California.